1. Andy Warhol – Oh Happy Day! : I mean come on. Two options: 1. 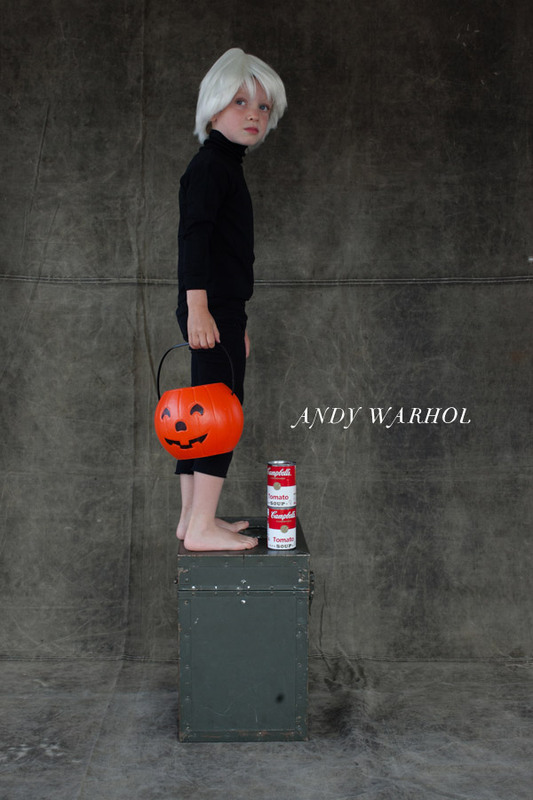 This poor kid has no idea who Andy Warhol is, so he is probably just dressing up for his the pleasure of being his parents little trendy puppet. 2. This kid does know who Andy Warhol is and he is going to grow up to be so cool that he is unable to make any friends but based on his genius he is able to discover how to speak to animals and starts up a new world of circus acts and becomes internationally known for his death defying show where he enters riding on the wings of two eagles while being pulled by his elephant friend, Seymour After every show lil Andy and Seymour meet to discuss ways to improve their performances over a can of Campbell’s Tomato Soup. Only possible situations, clearly. 2. 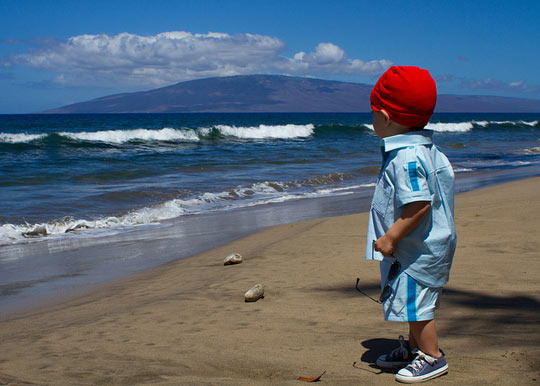 Team Zissou Costume – Apartment Therapy: Seriously, another one where I doubt the child knows the reference, but I am very jealous, I want to be on Team Zissou. I want to make the flag. If you haven’t seen the movie, we are done. At least until you watch it. Wes Anderson is totally the bees knees. 3. Airplane Pilot – Oh Happy Day! : Where does one get child size goggles like this? That is my only question, besides that, total adorb-fest. 4. Vincent Van Gogh – Oh Happy Day! : A little morbid, but gosh darnit I love it. 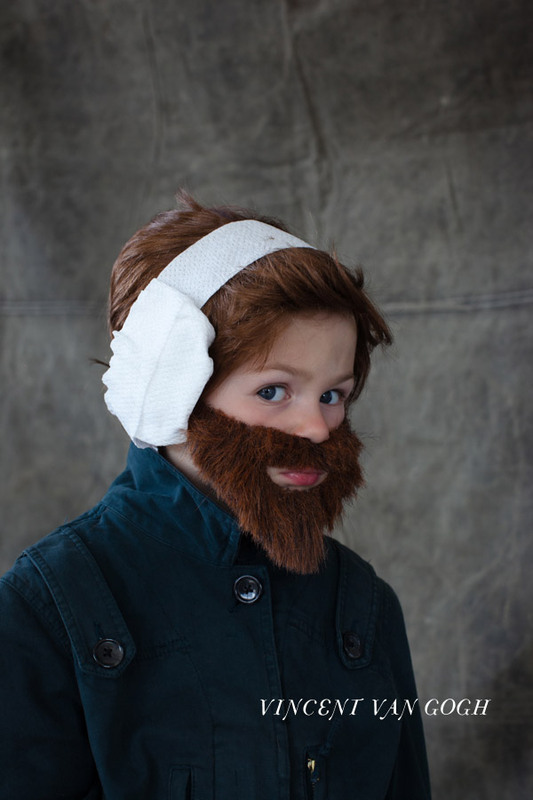 Something about a little boy with a fake beard seems to get me every time. Plus I love me some art references, and while I feel like every child should eventually learn about all the iconic artists, if I had one, I certainly would work my way from the past to present, therefore teaching my child about Van Gogh prior to Sir Warhol, even though both would certainly make the curriculum. 5. 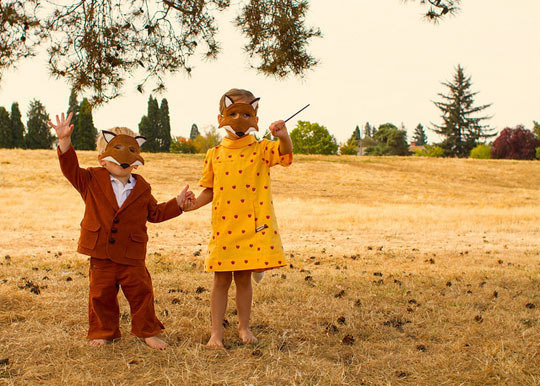 Mr. and Mrs. Fox – Apartment Therapy: Another Wes Anderson reference, my heart is stolen again. Basically, that is all I have to say, this is the shiz. Also see this movie if you haven’t, until then, you are dead to me. 6. Dumb and Dumber – The Meta Picture: Now I don’t want kids, at least that is our current plan, but what I am certain of is that I don’t want is twins, yikes! Two for the time of one! I am sure they are wonderful (my husband is a twin, so can’t hate on the idea too much) but I can’t imagine planning on having one kid and suddenly finding out you are having two, or more. 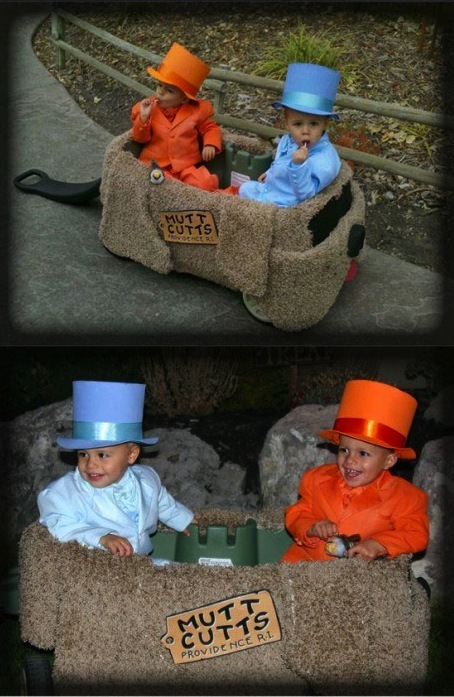 Anyway, if that ever happened, partially because I would have no time to make more than these two costumes, but also because this is so cute, the children would forever be the Dumb and Dumber characters in this dog-mobile. Plus I am sure Alex would love this and demand that it be constantly repeated. 7. Penguin – <So Sorry, I couldn’t find the source – can anyone help? 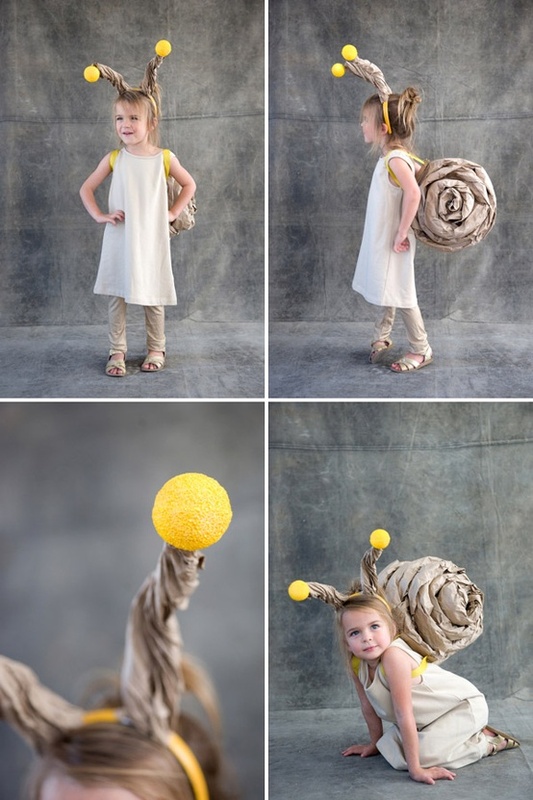 ?>: This costume would become something the child would wear daily, not just on Halloween if I were to, um, borrow one. How could I ever put anything else on them? Hmmm today should I dress him/her in jeans and a t-shirt, a onesie, or the penguin costume? 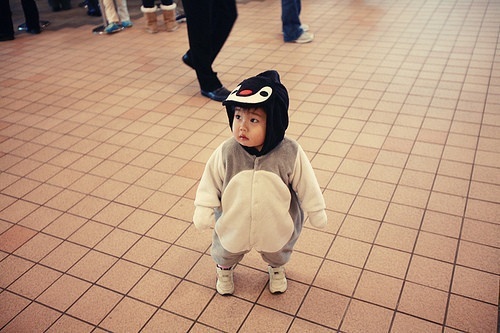 Penguin costume would always win, just face it. 8. 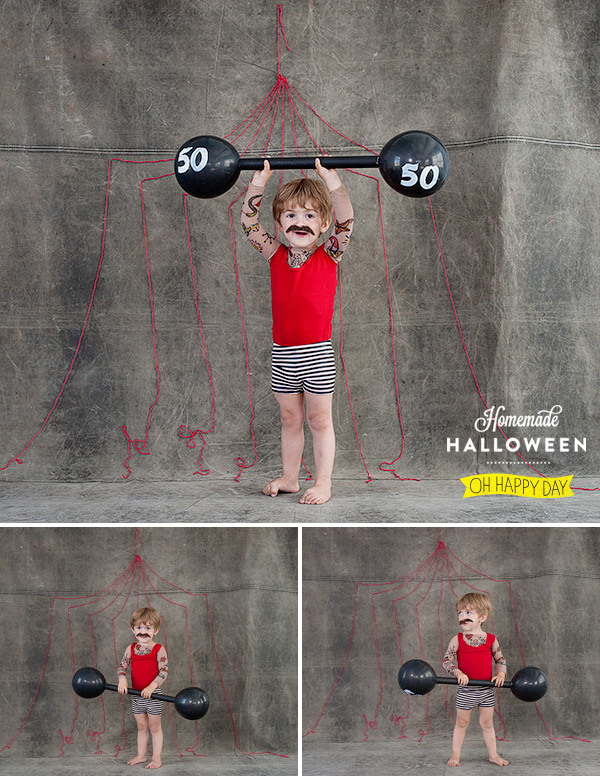 Little Strong Man – Oh Happy Day! 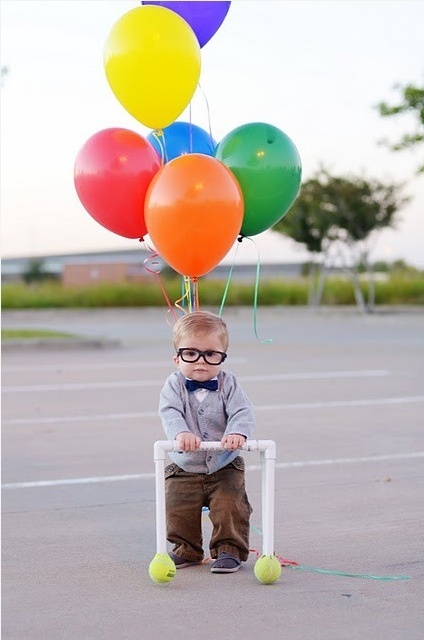 : Again, too cute, shut the front door. In fact, slam it. This might be the all-time winner, as much as I love a beard on a little guy, a mustache might take the cake. Plus look at how strong he is, this kid is going to get all the babes. 9. 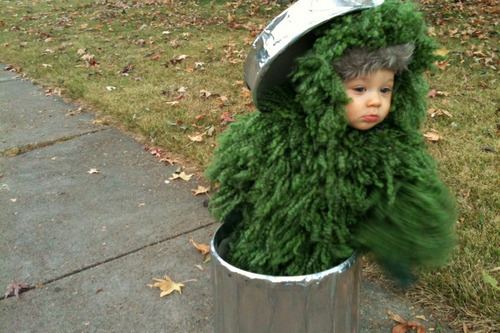 Oscar the Grouch – Little Frills: Unlike a lot of these, this one seems especially age appropriate. I guarantee that kid knows who the heck he is supposed to be. And that uni-brow is just studly. I can’t imagine the child is especially comfortable or would want to wear that for very long, but I certainly could stare at him in it for a long time. Ok, I am not a creep I swear..
10. 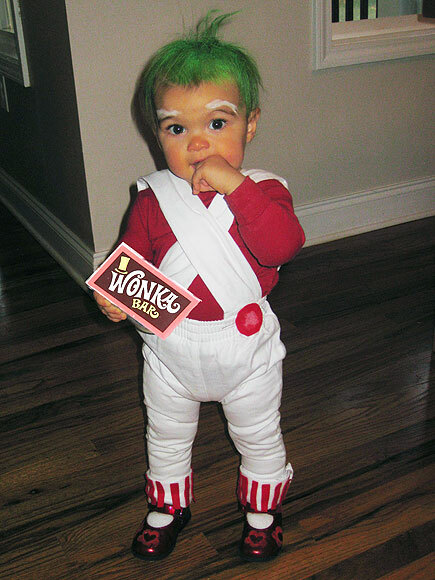 Oompa Loompa – People (ah sorry, can’t find original source): Not sure how I feel about dying a kids hair green, but if you are into that, this is sure to get a lot of “AWWWWW”s at any trick or treat house. 11. 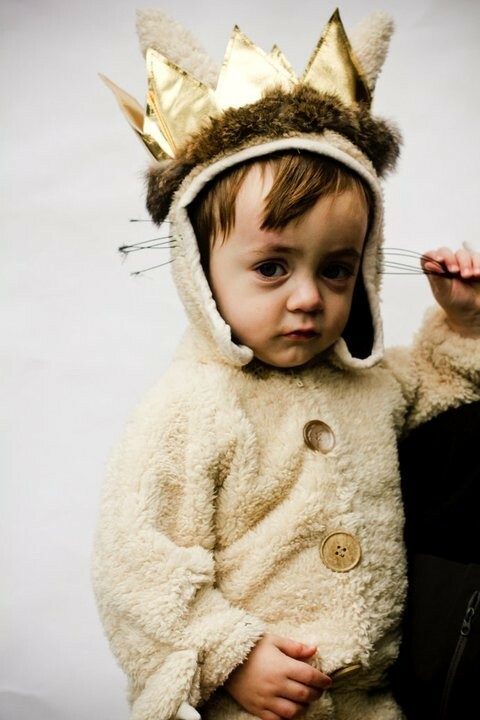 Where the Wild Things Are – TheRadicalThreadCo Etsy Store: Never mind, this one wins. Hands down. Whiskers> Mustaches >Beards>Clean Shaven Baby Faces. 13. Gnome – Chasing Fireflies: Another beard. But this one his bright blue eyes and golden locks. He is a model baby. 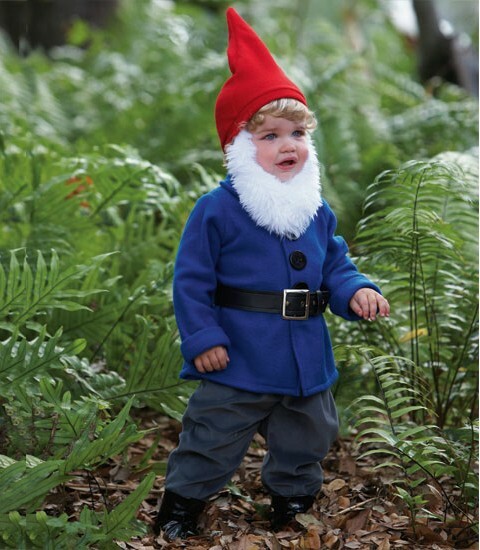 A model Gnome baby. 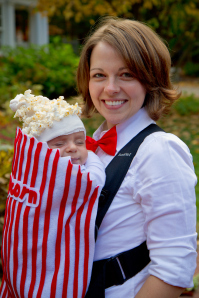 Although I am sure the costume would still look kinda cute on your less than model-like child. Just kidding, I am sure your babies all look like models. 14. Snail – Oh Happy Day! : OK, a snail. I know, I know, I have a preference for little boys costumes, but this one is non-partial. No one even needs to wear a beard! And still cute to the max! 15. 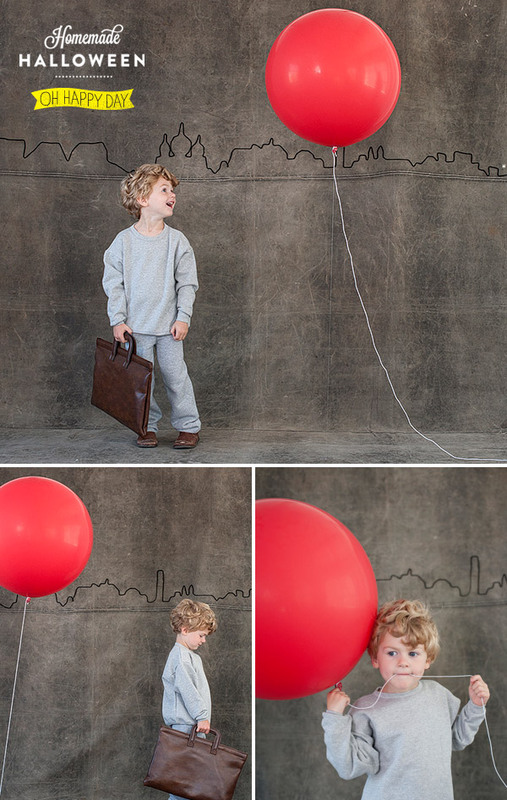 Red Balloon – Oh Happy Day! : Love this movie as well. Bombsauce. The end. 15. 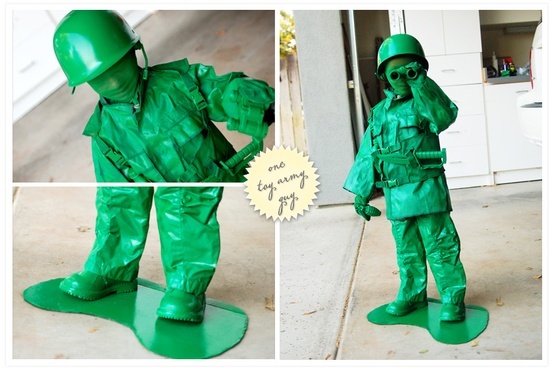 Army Man – Wild Ink Press: Alex loved this one, and who was I to deny him from sharing sweet lil babe costumes? More like, who wasn’t I? A big dumby, that’s wh0. Really cute, and really easy. Win, and double win. 16. Money – Fun Cheap of Free: Here is what this guy is saying. “This isn’t my baby. 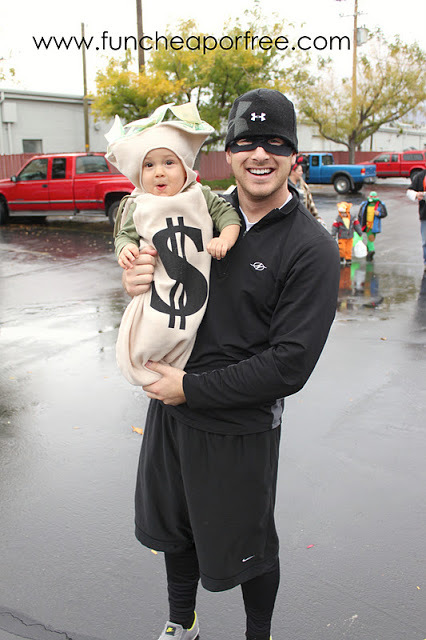 I am a real burglar I stole this baby and put him in a money costume and now I am casually crashing this party with my stolen baby! YAY!” All our jaws drop, a lady in the crowd faints, I ask if anyone is a doctor, the crowd breaks out into a riot until the guy finally follows with, “Just kidding! This IS my baby! What a hilarious Halloween Trick! Now let’s eat some treats! !” Then we all laugh and do the jitterbug. I hope you didn’t mind too terribly this interruption to our regularly scheduled programming, but all of that aside Happy Halloween you gals and ghouls! Keep thinking very good orange and black thoughts – for Halloween of course and maybe a little for the SAN FRANCISCO GIANTS! Go team, win the World Series so I can have a very happy husband! Thanks a bundle, hugs and kisses!! P.S. if anyone wants to follow any of my other “If I were to change my mind about kids,” musings, feel free to follow me on pinterest here. And for all my other posts… here. Awesome roundup, thank you for including me! 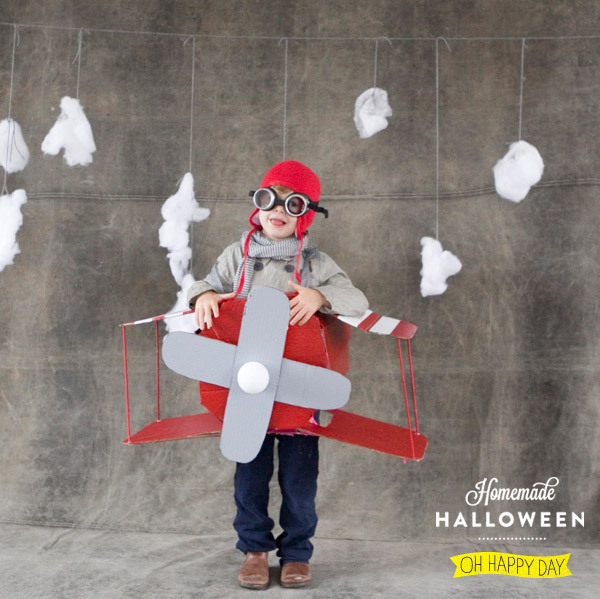 No – THANK YOU for your amazing child’s costume! So cute! !